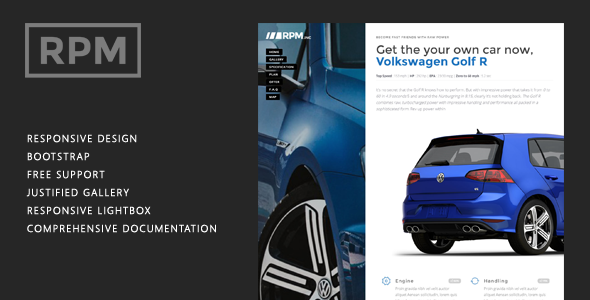 RPM – Auto Deal Landing Page is clean, responsive, auto deal landing page with a new design concept and lay out HTML5 template based on Bootstrap 3. 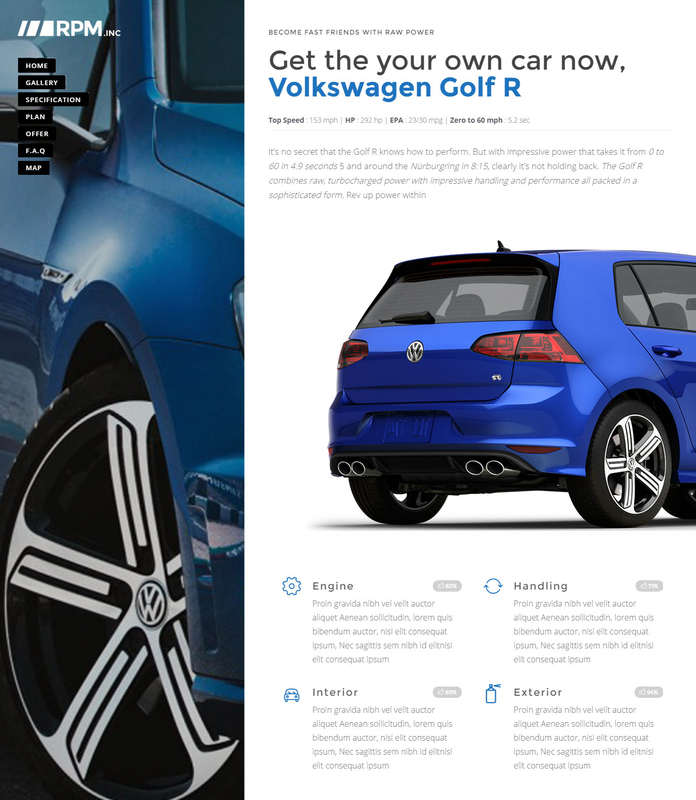 This template is suitable for automotive purposes , especially for a offer or sample sale all kinds of vehicles. With a design that is more attractive your business become more easily. I’ve used the following jQuery plugin, Fonts, Images, Icons or other files as listed.